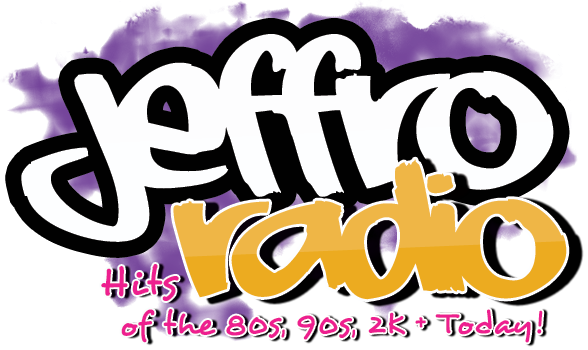 Jeffro Radio | Hits of the 80s, 90s, 2K + Today! Jeffro Radio plays pop, rock, and rhythmic hits of the 80s, 90s, 2K + Today, live from Chicago! This isn't the same old list of 250 over-researched songs like you hear on terrestrial or even satellite radio. These are ALL the hits! Many you'll instantly remember. Others will come back to you quickly. (The "Oh Wow" factor here is HUGE.) Either way, you'll be able to sing along with every song! We're subscription-free, commercial-free, and available on all platforms - Android, iPhone, and Blackberry - with the free Jeffro Radio app. Download it from your smartphone's app store or just use the links above.